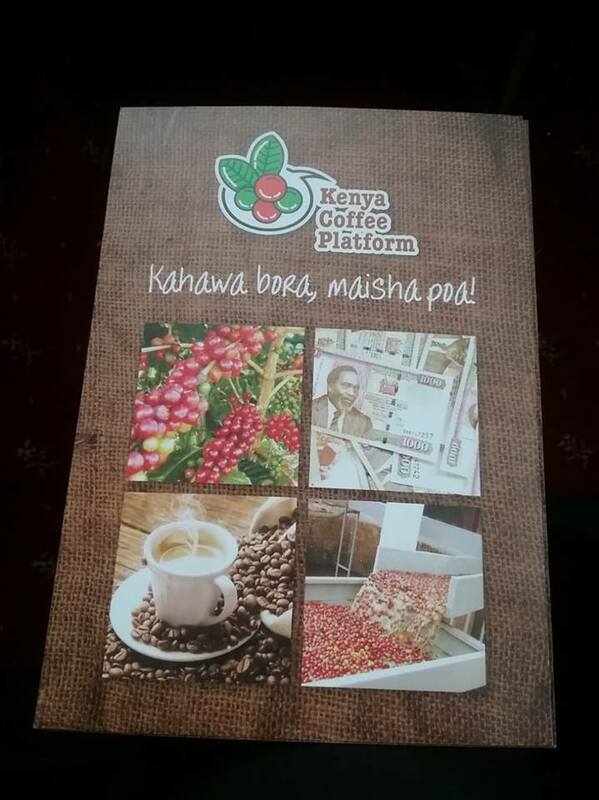 On 31st July 2018, Agriculture CS Hon Mwangi Kiunjuri launched Kenya Coffee Platform. Nyeri County was represented by Agriculture, Livestock and Fisheries CEC, Mr. Henry Kinyua. The Kenya Coffee Platform is a forum that brings coffee value chain stakeholders together to develop a common approach and strategy to address the issues in the coffee industry. 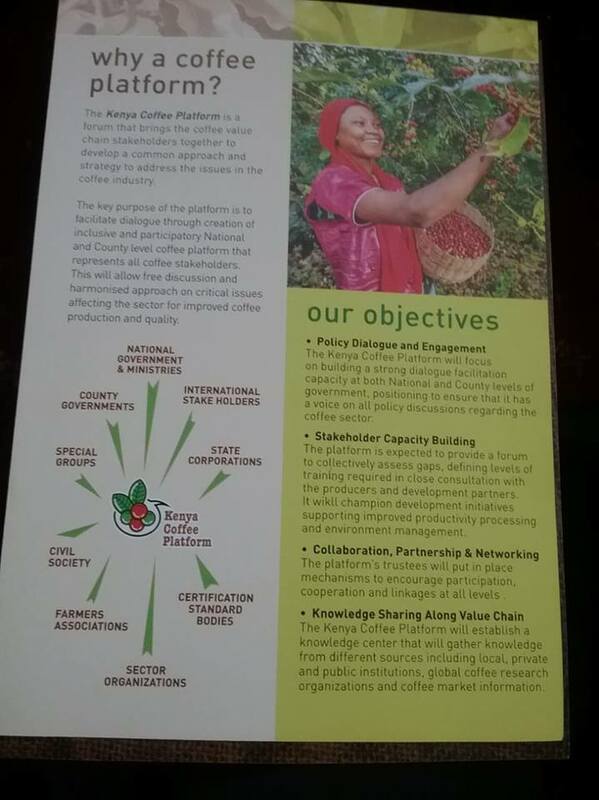 The key purpose of the platform is to facilitate dialogue through creation of inclusive and participatory National and County level coffee platform that represents all coffee stakeholders. This will allow free discussions and harmonized approach on critical issues affecting the sector for improved coffee production and quality. • Policy dialogue and engagement: Kenya Coffee platform will focus on building a strong dialogue facilitation capacity at both National and County levels of government and positioning to ensure that it has a voice on all policy discussions regarding the Coffee sector. 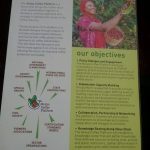 • Stakeholder capacity building: The platform is expected to provide a forum to collectively asses gaps, defining levels of training required in close consultation with the producers and development partners. It will champion development initiatives supporting improved productivity, processing and environment management. • Collaboration, partnership and networking: The platform’s trustees will put in place mechanisms to encourage participation, cooperation and linkages at all levels. 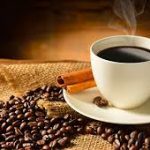 • Knowledge sharing along value chain: The Kenya Coffee platform will establish a knowledge centre that will gather knowledge from different sources including local, private and public institutions, global coffee research organizations and coffee market information. 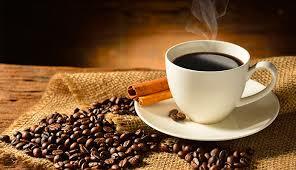 The County Government of Nyeri where Coffee is one of the priority value chains for H.E. 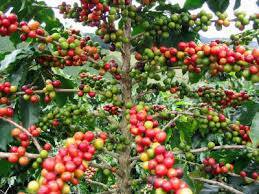 Mutahi Kahiga, The Governor, Nyeri County, is expected to benefit from this move through improved coffee productivity. 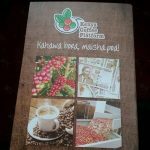 Each player in the Coffee sector including farmers who are the producers will have a voice in policy discussions.